Now reduce spots and dark circles to reveal your spot-less glowing skin. Bollywood actress Ileana D’cruz is the face for the new range in India. Today, just fair skin is not enough! Modern women, want skin that is not ravaged to dullness and desire bright, healthy skin. Pond’s, one of the world’s most trusted skincare brands, introduces the new Pond’s White Beauty Daily Anti-Spot Fairness Cream with GenWhite formula that reduces spots and dark circles to give you spot-less glowing skin in just 7-days. 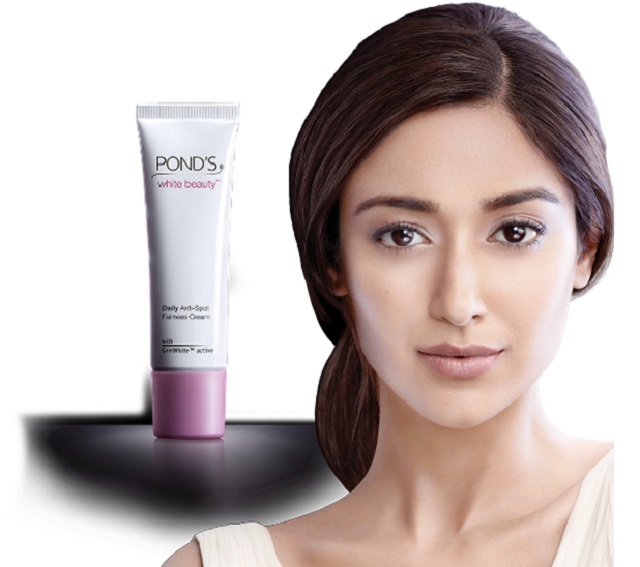 The beautiful Ileana D’cruz, will be the face of Pond’s White Beauty range in India. With time, the skins ability to renew and regenerate slows down. Factors such as environmental stressors, harsh UV rays, hormones and genetics can cause dark spots, dark circles and dull skin. The New Pond’s White Beauty range is made with revolutionary GenWhite active technology, which is formulated with whitening ingredients to penetrate deep within the layers of skin and reduce melanin transfer to the surfaces. This advanced formulation helps to brighten the skin, reduce dark spots and dark circles to unblock the skin’s inner glow. With regular use skin is brighter and spot-less skin in just 7 days. Ileana consulted Pond’s Beauty experts to resolve her skin problems and noticed significant changes in her skin’s health and appearance. “Since using Pond’s White Beauty, I’ve definitely noticed a change in my skin! My hyperpigmentation has been visibly reduced and my under-eye area looks a lot brighter. My friends and family have also commented that my skin looks more healthy and radiant now. Using Pond’s White Beauty has helped me bring out my inner glow”. Tested* and proven by women across India, in just 7 days, 93% of women experienced fairer skin while 86% reported a significant reduction in dark spots and 93% achieved visibly brighter and radiant skin. *Based on a consumer study conducted by independent agency in 2013 on more than 500 Indian women. Now unblock your inner glow with the new and improved Pond’s White Beauty Fairness Cream, available in all leading stores across the country.